This morning, the funeral of Mr. John Dewsnap took place. He was my teacher in year 6 of primary school at Blackmoor Park in West Derby (c.1992-3), and was an inspiration. It might not be too far fetched to say that, if not for him, you might not be reading these words on this website, because he was one of the biggest influences on my love of history. His recent passing reminded me of the many great memories I have of my time at Blackmoor, and my introduction to West Derby and Liverpool history by Mr. Dewsnap. One of the other things which has come to light, through conversations with my mum (now a teaching assistant at the school, who worked with him for a while until his retirement 10 years ago) is the number of other people who have fond memories of the man. There was even a letter written to the Echo a few days ago from a Carl McFarlane (scroll to the bottom letter). You can’t overestimate the value of a teacher like Mr. Dewsnap for kids interested in heritage, and learning in general. Just heard that my favourite teacher, the legendary John Dewsnap, has passed away. He was the man who got me hooked on local Liverpool and West Derby history in the first place, when he taught me in the last year of primary school. He was funny, hugely intelligent and looked like Winston Churchill had got lost in Victoria England. I don’t know anyone who didn’t like him. A rare teacher who could have you in fits of laughter while tricking you into learning, whether you were a pupil or parent. I doubt anyone one else will ever lend me a book on World War Two and another of Spike Milligan poetry and have it make anywhere near as much sense. A doff of my top hat to you, sir. My mum’s memories of him (as my parent, before she started work at the school) include being amazed at how he knew who she and my dad (a former pupil too) were the moment they walked into parents evening, and how he seemed to know my personality, and those of the other kids, just six weeks into a term with him. He could change the atmosphere of the staff room just from walking in, and always asked after me when my mum met with him after he retired. One of my strongest memories of him comes from our visit to Croxteth Hall. The boys and girls had to dress up as servants, woodsmen, butlers or cooks, and play the part with actors taking on characters from the Hall’s Victorian heyday. Mr. Dewsnap arrived in a three piece suit, monacle and top hat, and I’ve reason to believe he never felt more comfortable. Actors played Lord and Lady Sefton, and no doubt were not used to teachers taking on additional roles so well! 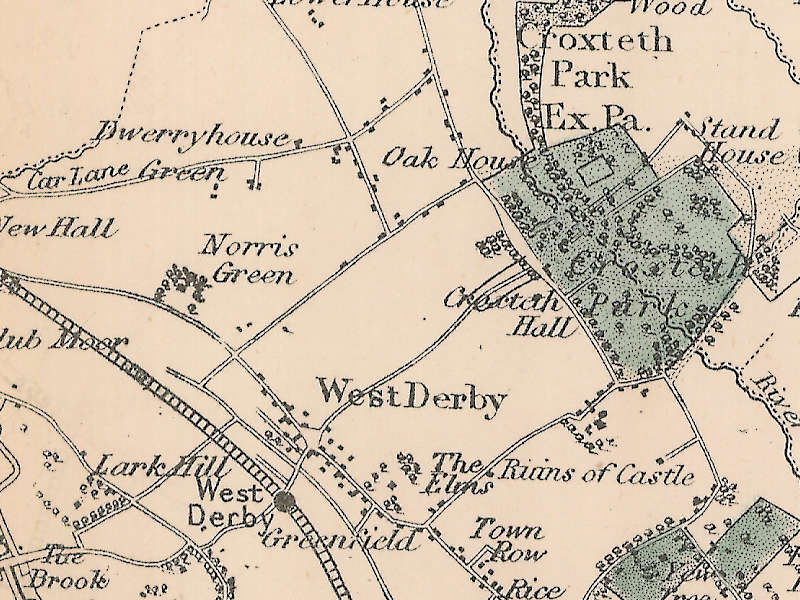 He knew everything there was to know about the history of West Derby: the court house, the gates to Croxteth Park, the Yeoman’s House, the fountain, memorial… etc etc. I was hooked from our first trip, even before the dressing-up day! I was lucky enough to grow up in a family that took me and my brother (now a Blackmoor Park teacher!) to plenty of historic places, from Chatsworth House to Stonhenge, and supported me through university and a career as an archaeologist for some years. But if it wasn’t for Mr. Dewsnap sparking that interest, and kindling it with his wit, his own fascination for history, and his boundless energy, then maybe those holiday memories would be just those. 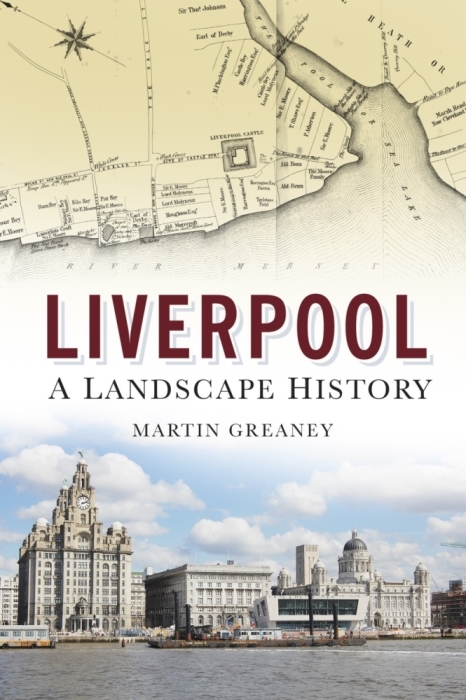 Liverpool Landscapes, and Historic Liverpool, might not even exist. I’m pretty sure at least some of you reading this will remember him, and are welcome to share any memories in the comments section, but it’s really this point about inspiring kids which would be the best memorial to him as the teacher he was. Even in the best of economic circumstances, heritage has a tough time competing with commercial interests and building developments. All too often demolish-and-build-anew is a more profitable way to go than restoring an old building, even if such a thing is feasible. The result of this is a loss to the historic and human environment in which we all must live. The variety of architecture is diminished, and the beauty of the city reduced a little. In the recession we now find ourselves in, it’s not only heritage which finds it even harder to survive, but that joy of everyday life is also stretched. If we regain economic prosperity, but at the cost of the heritage which brings joy for free to those who merely walk amongst it, then we’ve stolen something not only from ourselves, but from our descendents too. So, here’s to John Dewsnap – that’s Mr. Dewsnap to you, me, parents, other teachers and pretty much everyone actually – and to those teachers who must try to fill his shoes. We need those teachers to instil in schoolkids a love of their heritage, whether they can trace their own ancestry far back in their current home town or not. For they are the future defenders and appreciators of the great variety of architecture and historic sites which we’ve inherited for a while. And if we can’t reveal the sheer wonder of all that heritage – of everything that has gone before us – to them, then we won’t be able to count the cost. Here’s to more teachers like Mr. Dewsnap. Thanks Julie! He once asked the class if anyone had a cape we could use for a Halloween class assembly, so I put up my hand. He asked if anyone had a pointy hat… I put up my hand… face paint… trident… I had the lot. “You’re a right little warlock, aren’t you?” he said, so I was Warlock from then on! What a lovely eulogy, Martin. His funeral today was full of people ( including me) who echoed your sentiments. He inspired many, and it’s no surprise that I wanted to teach ( back at Blackmoor) after having been taught by him. Thanks Jeanette. Glad to hear from someone who was at the funeral. My mum was there too, with Pauline, the school secretary. It’s amazing how many people Mr. Dewsnap and Blackmoor Park have encouraged back into the fold! How sad to read that Mr Dewsnap has passed on. He was the best teacher I have ever had. I was in his class in 1983 at Blackmoor Park. A true inspiration who brought the best out of people. Remember the pet names he gave people…one boy was called Rhino as he used to have a piece of hair that always stuck up at the front. He made learning fun and that is sadly lacking now. Never forget you. Rest in peace Mr Dewsnap. So nice to hear you have great memories of him. Yes, he was still giving names to kids a decade later. I became ‘Warlock’ as I had more Halloween costume elements than anyone else when it came to preparing our school assembly! I came across this wonderful tribute to John when looking up his name on the internet. He and I were at Alsop together in the 1950s, in the same class, and were good pals. 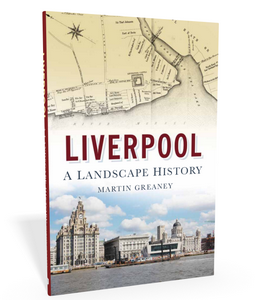 We lost touch when my family moved to Wallasey, and I later lived further afield. I remember him as a lovely, gentle chap, ribbed at times for his unusual name. We shared an interest in church history and I recall him showing me around his church, St Margaret’s in Princes Road, with a lot of detail provided! I am not surprised by the tributes nor with what he did with his life. Like him, I retained my love of history, but of the medieval period, and I have been involved with old churches and church restoration for many years. We would have had much to talk about. So farewell old friend. May you rest in peace. Great to hear your memories in relation to Mr Dewsnap. I think it might be the first I’ve heard from someone who wasn’t a pupil of his! It’s good to know he was as loved outside the profession.